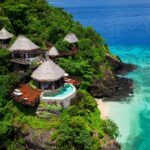 Five minutes in Fiji, and you’ll no doubt have already heard a few mentions of “Fiji time.” As Fiji’s particular brand of island time, this refers to their laid-back, relaxed approach to life. No worries, no pasa nada, hakuna matata. 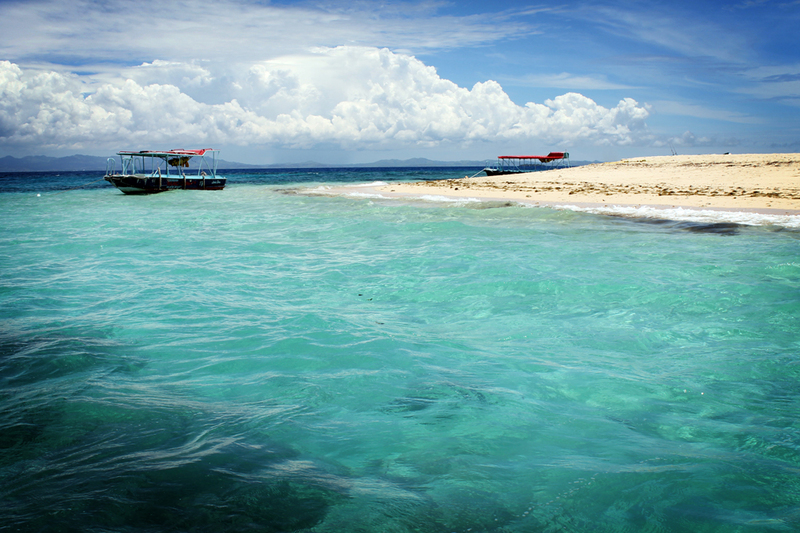 And what better attitude to be surrounded by on a four-day vacation to a tropical island? How could you possibly be in a rush with these surroundings? After our days on private Beachcomber Island, we were off to our second accommodation, Funky Fish Beach & Surf Resort on Malolo Island. Our transfer boat was definitely on Fiji time, but this allotted us some extra time to laze on Beachcomber’s incredible beaches and even fit in a round of mini golf. But at last, our chariot awaited, a rustic fishing boat, where we perched atop shipping boxes and zoomed off into the blue. Seawater misting our faces, we soaked in the sun and admired the overwater bungalows we passed, an image I think many of us have come to associate with a true island paradise. And then we pulled into our home for the day. 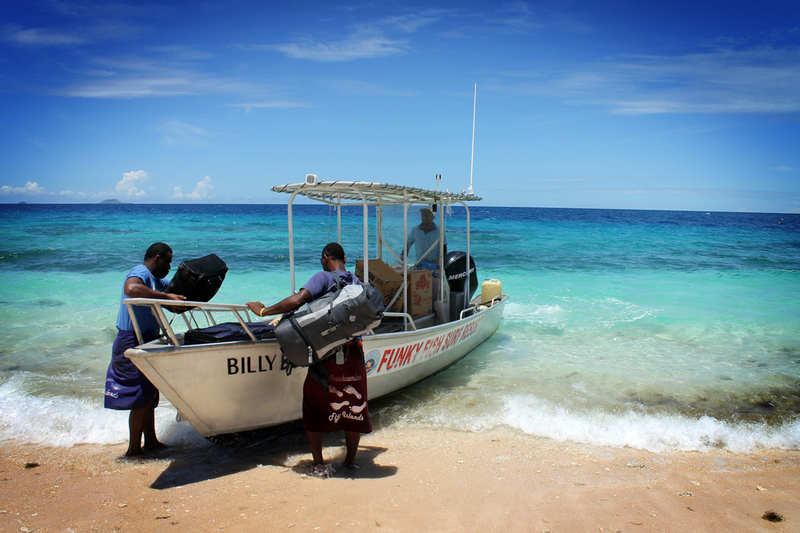 Funky Fish is situated on Malolo Island, which houses several other resorts, with this one secluded from the rest. While the resort is popular with surfers during peak season, early January is surprisingly quiet in Fiji, so we only ran into a handful of other guests during our time there, the ideal situation for a tranquil escape. 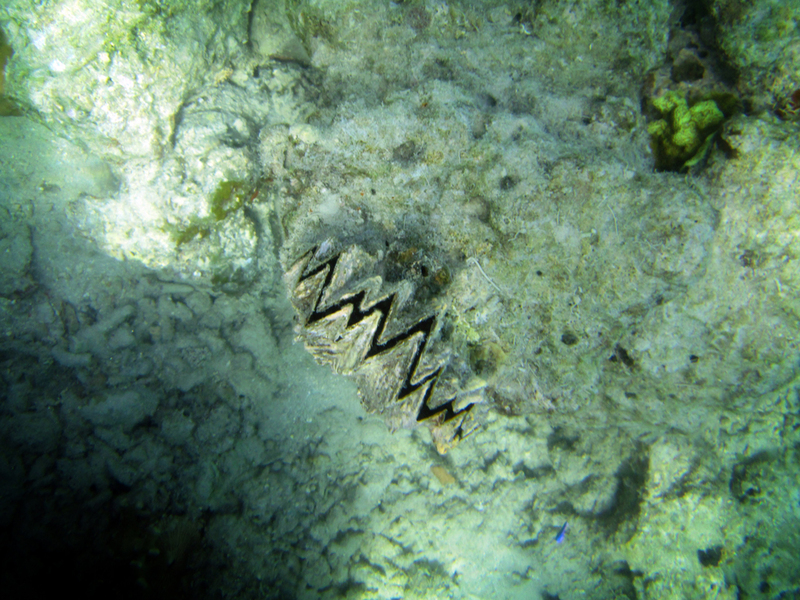 Like Beachcomber, Funky Fish offers accommodation for a wide variety of budgets. Beds in the hostel-style dormitory start at $22 USD per night, but we were living large in a beachfront bure, complete with a thatched roof, open-air shower, and deck just feet from the ocean. Eager for more snorkeling after our experiences at Beachcomber, we borrowed free snorkeling equipment and headed out to sea. Being in such a remote location, the shallow water was awash with creatures of all shapes and sizes. Can anyone tell me what the heck this thing is? Returning, we took a dip in the pool that overlooked the ocean and lounged in the resort’s cozy common area as the sun set. We enjoyed dinner with a view at the hotel restaurant and chatted with a few employees and fellow guests. 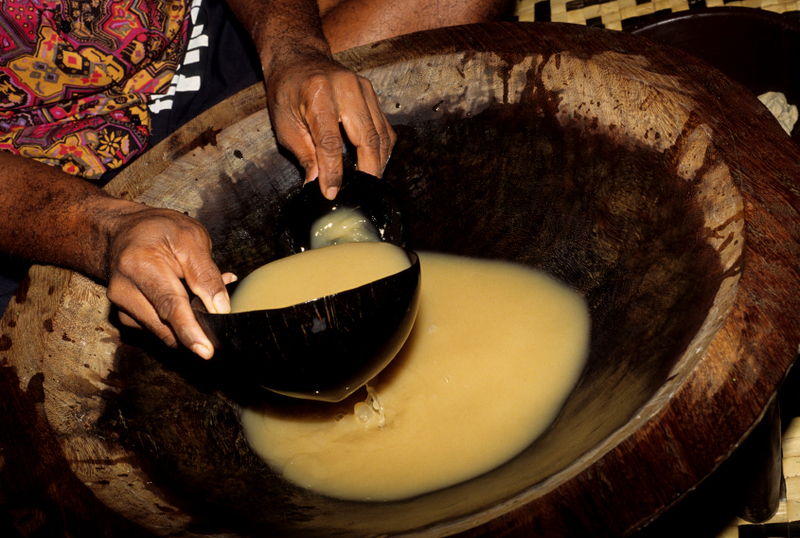 A pepper root drink that resembles mud, kava is at the core of Fiji’s culture. My former roommate in Sydney hailed from Fiji, and he introduced me to the country’s important tradition of gathering friends in a circle and passing around a coconut shell to sip the bitter, tongue-numbing concoction. The employees of Funky Fish invited us to take part in their kava ceremony and further explained their customs: the “chief” (in this case, this designation rotated among us) decides when each round begins and whether we’d be drinking the cup at “high tide” or “low tide.” Before your turn, you must clap, take the cup from the person serving the kava, say, “Bula!” (Fiji’s catch-all word that means hello and so much more), gulp the drink, and then clap again. 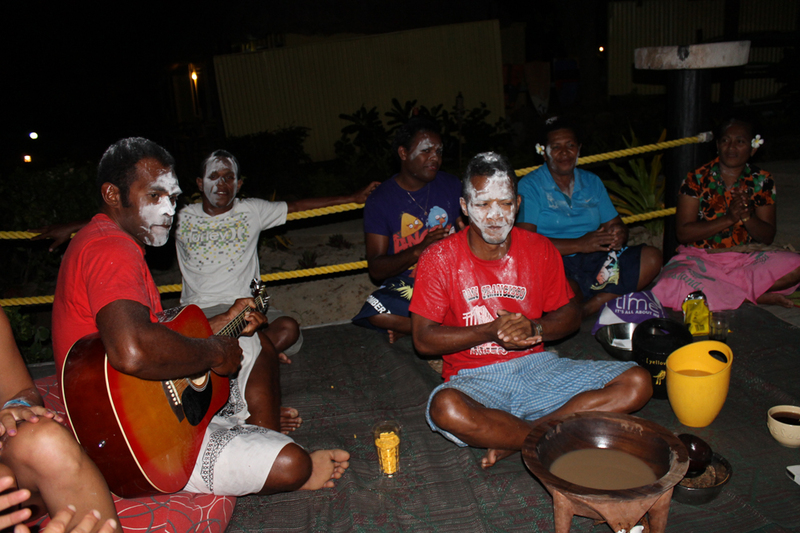 Our kava ceremony eventually devolved into chatting and guitar playing, and the employees explained that New Year’s and the weeks following were a time for pranks in Fiji. On this night, that involved playfully and gleefully attacking each other with baby powder. We eventually had to head to bed for an early start the next morning, but Funky Fish’s staff were some of the friendliest people I’ve met, and they did a wonderful job of including us in their fun and making our stay even more memorable than it otherwise would have been. Did I mention how much I despise the smell of baby powder? But it was too much fun to not love it. With our boat transfer to the next destination at six the following morning, our time in Funky Fish was brief but oh so lovely. All good things must come to an end, though, and we were off to explore more of what Fiji had to offer. To be continued! Disclaimer: I was a guest of Funky Fish Beach & Surf Resort, but all opinions and gushing are entirely my own! As it should be! No idea – really hoping someone who reads this can tell me! Or I may need to head over to this subreddit. Great post! Fiji is on our sights at the end of our visa in New Zealand. It definitely should be, and it’s easy enough to get to from New Zealand (and Australia)! Enjoy when you do get there! Oh how I wish I was there now! Looks so incredibly beautiful. It really was! I could use some Fiji now that it’s cold and rainy here in Sydney! 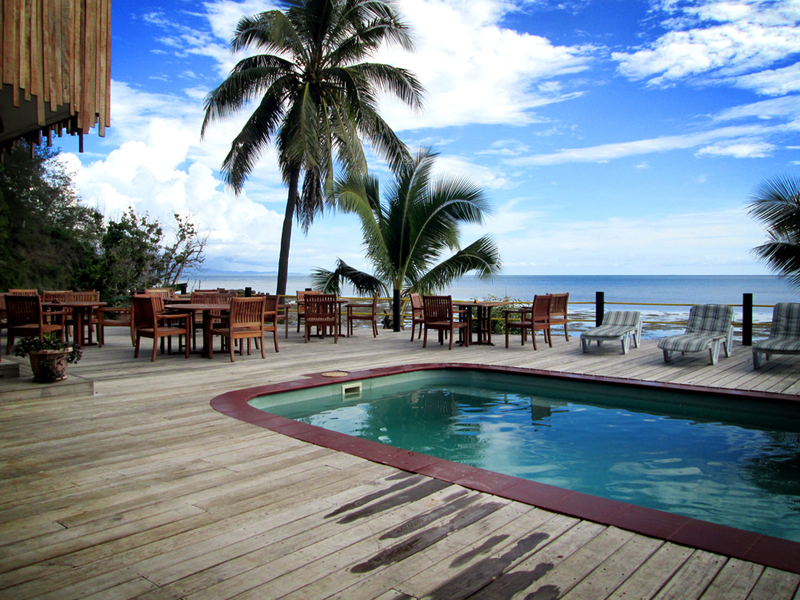 We so love Fiji and are looking forward to another two month stay on the Coral Coast beginning in August. We know exactly where you were! 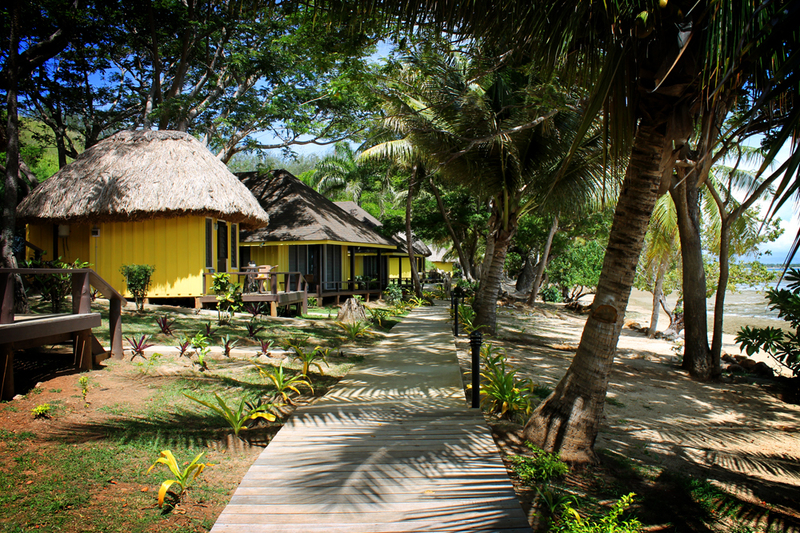 It’s so wonderful to get away from the typical tourist resorts on Denarau and see what Fiji time is all about. It is truly our favorite place on earth. The Coral Coast sounds great as well! We were originally intending to find a resort there but went with a slightly different plan. Isn’t Fiji fantastic? And you should! Haha, I can completely relate to travel jealousy – I get it all the time from your blog! What a beautiful place! 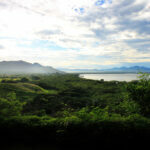 Many thnks for sharing your tips and will keep all thi place in mind if I ever visit Fiji. Now, I wanna go and book a flight to Fiji! Your photos of the place are glorious! Paradise, indeed! 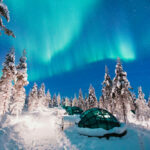 Simone recently posted 30 of the Most Colourful Places on Earth. I’d love to see Vanuatu as well! Thanks!